On September 5, 2017, the Trump administration announced the rescission of Deferred Action for Childhood Arrivals, commonly known as DACA. The Department of Homeland Security (DHS) defended this action, arguing that, “taking into consideration the federal court rulings in ongoing litigation and the September 4, 2017 letter from the Attorney General, it is clear that the [DACA] program should be terminated.” Accordingly, DHS asserted in its public notice that “current law does not grant any legal status for the class of individuals who are current recipients of DACA.” The effects of this decision would be apparent in the coming months when the employment authorization documents given to DACA recipients begin to expire. When a DACA recipient’s period of deferred action expires or terminates, they are no longer be eligible for lawful employment or deferred action. Instead, there is a possibility that thousands of DACA recipients could face removal proceedings and deported to their country of origin. The basic legal problem with DACA was that President Obama, who signed the program through prosecutorial discretion, never enshrined it into law. Instead, DACA was a special program at the discretion of the executive. Moreover, the Trump administration announced the end of DACA without fully explaining why DACA is unconstitutional, or displacing the 2014 opinion from the Department of Justice Office of Legal Counsel that stated that the program was constitutional. After the announcement, a group of prominent Democratic and nonpartisan state attorneys general filed suit in New York federal court to prevent the rescission of DACA. The suit alleges, among other things, that the comments and statements made by the Trump administration are relevant and prove that the administration’s stated reason for ending the program, namely that it was unconstitutional, is a pretext for discrimination. This article examines two points regarding DACA. The first is the constitutionality of DACA. Proponents argue that DACA falls under prosecutorial discretion and that President Obama acted lawfully when he signed an executive order creating the program. The second concern is the storage of information that DACA recipients provided to the government when applying for their employment authorization documents. This question centers on whether Immigration and Customs Enforcement (ICE) may legally obtain that information to locate and place recipients in deportation proceedings. In 2012, the Department of Homeland Security implemented the program Deferred Action for Childhood Arrivals better known as DACA. DACA did not offer permanent immigration status. Instead, it provided qualified individuals with a two-year reprieve from deportation, and the ability to obtain work authorization in the United States. At the expiration of the two-year period, beneficiaries had to apply for a renewal of their DACA status. As such, there are strict requirements that an individual must meet to be eligible for DACA. An individual had to: (1) be under the age of thirty-one as of June 15, 2012; (2) have arrived in the United States before reaching their sixteenth birthday; (3) have continuously resided in the United States since June 15, 2007 at the time of their application; (4) have been physically present in the United States on June 15, 2012 at the time of their request for deferred action; (5) have entered without inspection prior to June 15, 2012 or had lawful immigration status expired by that date; (6) be currently in school, graduated from high school or equivalent degree, or have been honorably discharged from the United States military; (7) have no criminal record or pose a threat to national security or public safety. Opponents argue that DACA contributed to illegal immigration. DACA occurred during the same period when the number of unaccompanied minors from Central America surged in the southern border of the United States. Then Senator Jeff Sessions attributed the surge to DACA and called for a vote to suspend the program. Setting aside the argument that DACA contributed to illegal immigration, the Trump administration argued that the creation of DACA was a gross abuse of presidential power because only Congress may affect immigration policy. Proponents argue that the executive branch has the legal authority to implement Deferred Action for Childhood Arrivals. This authority stems from the lawful exercise of prosecutorial discretion, or the decision not to indict. Similarly, courts are generally more deferential to immigration action taken by the executive branch than in other areas of law because immigration touches upon sovereignty and national security. Specifically, the United States has broad power over immigration and the status of aliens. As a result, courts generally do not review challenges to how the government exercises prosecutorial discretion. An alien whose enforced departure from the United States has been deferred in accordance with a directive from the President of the United States … Employment is authorized for the period of time and under the conditions established by the Secretary pursuant to the Presidential directive. Under that same CFR § 274a.12 chapter, the President may grant deferred action for employment purposes when “[a]n alien who has been granted deferred action . . . if the alien establishes an economic necessity for employment.” In this manner, the executive branch grants deferred action through a presidential directive to inform administrative agencies not to indict. As a result, deferred action is a legitimate exercise of presidential power as codified under the Code of Federal Regulations. Specifically, this legal authority originates from the Constitution in Article II, Section Three, which states that the President “shall take Care that the Laws be faithfully executed.” Inherent in the function of the “Take Care Clause” is the ability of the President to target some immigration cases for removal and use prosecutorial discretion in others. The Supreme Court has recognized the role of prosecutorial discretion in the immigration system, where Congress has delegated most discretionary functions to DHS. As such, Congress has acknowledged that the executive branch has the power to grant “deferred action” concerning certain categories of people such as victims of crime and human trafficking. Not to mention, there are limited resources allocated to find and deport every undocumented individual in the country, instead the President can direct agencies to focus on serious crimes and wanted felons. This deference to the executive branch is apparent under the Immigration and Nationality Act, Section 242(g) that bars judicial review of three specific prosecutorial discretion decisions by the agency: commence removal proceedings, adjudicate cases, and executive removal orders. However, the problem remains that President Obama created DACA through prosecutorial discretion. As Eric Posner noted, because Obama could have changed his enforcement priorities at any time, so can his successor. The result is that the Trump administration had the power to rescind DACA without Congressional approval because it flowed from the executive branch. The Department of Homeland Security in its public notification assured DACA recipients that their information provided to United States Citizenship and Immigration Services (USCIS) in DACA requests will not be “proactively provided” to ICE and Customs and Border Protection (CBP). Yet, that same source mentions that DHS may request USCIS to provide such information if the request meets the criteria for the issuance of a Notice to Appear or referral to ICE. Similarly, USCIS will retain a recipient’s personal information even when the program ends based on the standard administrative procedure not to destroy records. For ICE to deport DACA recipients, ICE would need this information. Therefore, the question is whether and when USCIS will volunteer such information to ICE. ICE could possibly ask USCIS for “people who have lost DACA,” yet ICE can do very little without this information to find people who have lost DACA and place them in deportation proceedings. Basically, “the policy was deliberately written to not constitute a promise that a future government would be obligated to accept.” This creates a difficult situation for recipients. Individuals who received DACA provided private information, which arguably ICE can use against them for deportation. That is arguably unconstitutional. It is a violation of due process to take advantage of a citizen’s reliance on prior government assurances or directives. It is difficult to tell whether this argument will be successful. On the one hand, courts would conclude that the Trump administration has the discretion to rescind an executive order from a prior administration. On the other hand, the question concerns if recipients are entitled to constitutional protection based on due process despite the language in the application. The majority of children that arrived in the United States have primarily come from Mexico, but the recent surge in unaccompanied minors have been children from three Central American countries: El Salvador, Guatemala and Honduras. A combination of factors contributed to the surge of children that includes extreme violence, endemic poverty, sophisticated smuggling networks, and a desire to reunite with family members in the United States. It would be very difficult for deported DACA recipients, many of whom have lived in the United States for years, to adjust to a new environment. Especially an environment characterized with violence, inadequate social services and extreme poverty. According to figures from DHS, from August through December 2017, it is estimated that 201,678 individuals are set to have their DACA expire and in 2018 that number would be 275,344, until every recipient is no longer eligible for deferred action. With the future of DACA in doubt, the Department of Homeland Security has urged DACA recipients to use the time remaining on their work authorizations to prepare and arrange possible departure from the United States or to apply for other immigration benefits for which they may be eligible. 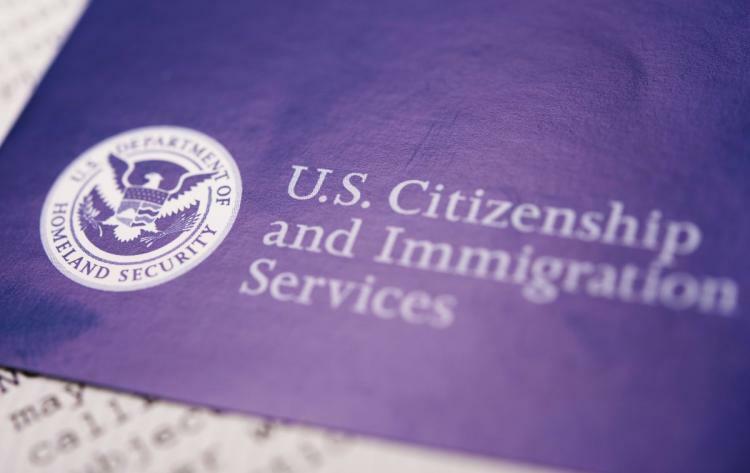 As mentioned, there is a confidentiality policy in every DACA application: “Information provided in a DACA request is protected from disclosure to ICE and CBP for immigration enforcement proceedings.” However, immigrants may be deported when it is a matter of law enforcement or national security, or meets one of the existing standards for USCIS referring immigrants to ICE to be hauled into immigration court. Yet, the Trump administration has not provided guidance on whether immigrants would be targeted for deportation upon losing their DACA. Even if the administration aims to deport DACA recipients, there is one logistical issue. Without a large budget along with significant manpower, ICE would be unable to capture all those who lost DACA within the next six months. However, once DACA formally ends, DACA recipients will have no choice but to live in the shadows. * Luís L. Lozada is a J.D. candidate at Cornell Law School where he is a Cornell International Law Journal Associate. He holds a Bachelor’s Degrees from UCLA. Frequently Asked Questions: Rescission Of Deferred Action For Childhood Arrivals (DACA), DHS.Com, https://www.dhs.gov/news/2017/09/05/frequently-asked-questions-rescission-deferred-action-childhood-arrivals-daca (last visited Sept. 16, 2017) [hereinafter FAQ]. Sean Illing, Can These Democratic Attorneys General Save DACA? I Asked 9 Legal Experts, Vox (Sept. 12, 2017, 10:16 AM), https://www.vox.com/policy-and politics/2017/9/8/16262938/daca-immigration-trump-administration. Catalina Amuedo-Dorantes & Thitima Puttitanum, DACA and the Surge in Unaccompanied Minors at the US-Mexico Border, 54 Int’l Migration 102, 102 (2016) [hereinafter Surge], http://onlinelibrary.wiley.com/doi/10.1111/imig.12250/epdf. Memorandum from the White House on Talking Points – DACA Rescission (Sept. 5, 2017), http://i2.cdn.turner.com/cnn/2017/images/09/05/daca.talking.points.pdf. Letter from Shoba Sivaprasad Wadhia, Professor, Penn State Law, to President Donald J. Trump (Aug. 14, 2017), https://pennstatelaw.psu.edu/sites/default/files/documents/pdfs/Immigrants/LawProfLetterDACAFinal8.13.pdf. Arizona v. U.S., 567 U.S. 387, 394 (2012). See Texas v. U.S., 809 F. 3d 134 (5th Cir. 2015). 8 C.F.R. § 274a.12 (2017). Dara Lind, Immigrants Gave the Government Personal Details to Get DACA. Will it be Used to Deport Them?, Vox (Sept. 8, 2017, 9:50 AM) [hereinafter Immigrants Gave], https://www.vox.com/policy-and-politics/2017/9/8/16256982/daca-application-ice-deport-privacy. Surge, supra note 9 at 102. Immigrants Gave, supra note 37.